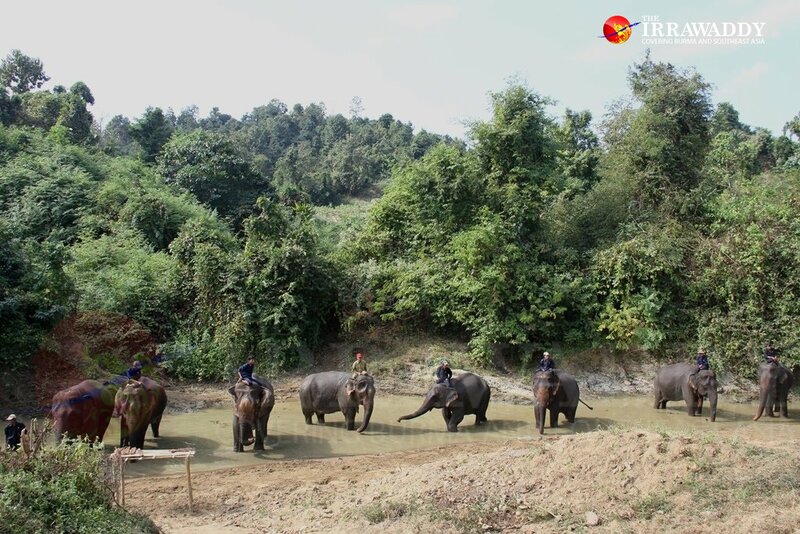 PYAY — One of three elephant camps in Bago’s Pyay District is Paw Lan Gyi, where tamed elephants are kept in the wild. Located in Taung Nawin Forest in Pauk Kaung Township, the camp used to be an active logging site until 2012 when the government decided to reduce timber production in order to conserve the Bago mountain range. In Burma, state-owned Myanmar Timber Enterprise—which is overseen by the Ministry of Natural Resources and Environmental Conservation—has a monopoly on the formal timber sector, but subcontracts are given to numerous companies. Illegal logging thrives as well in northeastern Burma. In April 2014, Burma banned the export of raw timber logs in order to slow deforestation and boost its own domestic production. In April 2016, the new National League for Democracy (NLD) government decided to ban all logging operations and in July it declared a 10-year hiatus on timber extraction in the Bago mountain range. These decisions have made workers and elephants engaged in timber extraction redundant. 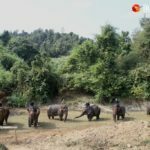 The Myanmar Timber Enterprise has since turned several logging camps into elephant camps or ecotourism sites in order to help sustain the livelihoods of logging workers and retired elephants. One such site is Paw Lan Gyi, located in the mountains about 50 miles away from Pyay. 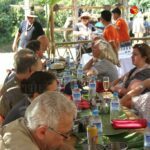 The camp is a small village with 37 households, most of them Myanmar Timber Enterprise staff including mahouts, their assistants and their families. The camp currently keeps 12 elephants in the wild, one male and 11 females, aged between 34 and 75. It was opened to visitors in 2013 but it is not a permanent camp and visitors have to seek approval before going to the area. The camp draws only foreign visitors, and only once a year. 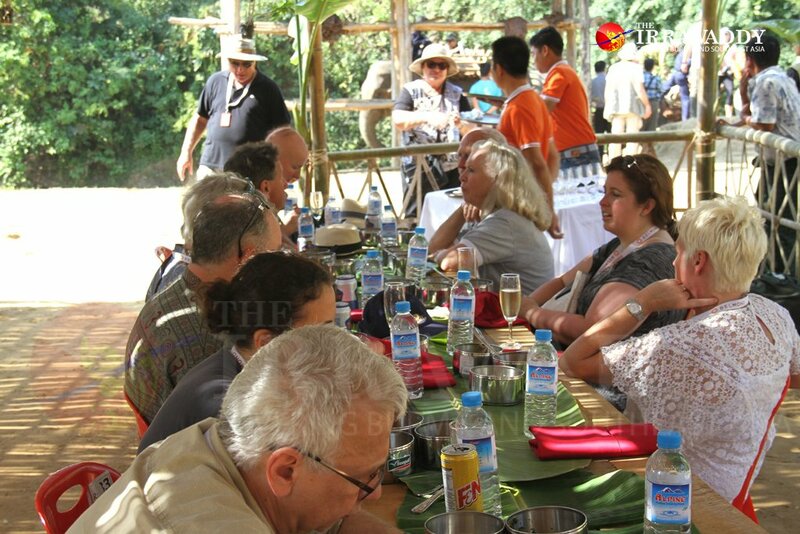 On Dec. 28 last year, more than 20 foreign visitors visited the camp, arranged by Belmond Orcaella Myanmar, a river cruise service provider. 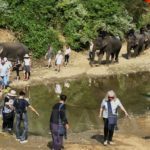 At Paw Lan Gyi, elephants are kept in the wild. Staff members search for them in the morning, bathe them, check their health and release them back into the forest. This is the day-to-day ritual for humans and elephants at the camp. 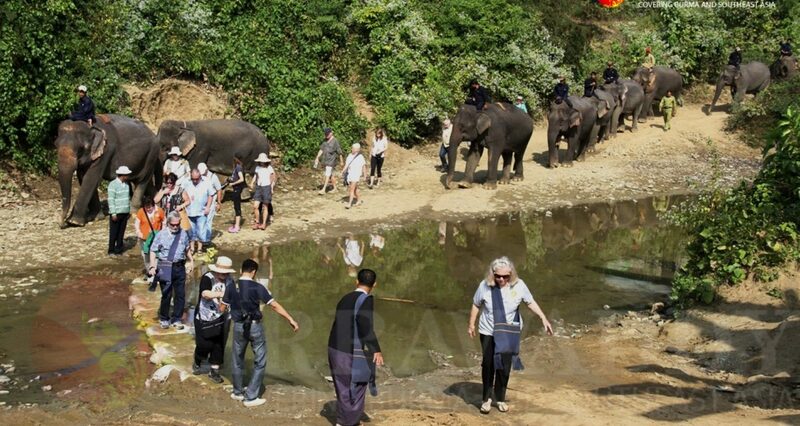 In December, Nat Hmaw logging site was opened as an elephant camp on the bank of the Irrawaddy River, just five miles from Pyay. It has become popular among local visitors in a short time. The third elephant camp in the area is still undergoing construction. 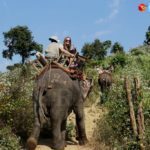 Earlier this week, Sri Ksetra, one of three Pyu cities on the UNESCO World Heritage List, started providing elephant trekking using retired elephants from the Myanmar Timber Enterprise.